Change is hard at first and occurs gradually. Penetrating communities with any development program can be very challenging as many people expect handouts from both local and international agencies, regardless of the services they intend to offer. This was not the case, however, with the village residents of Bugema B village, Marare. As Robin Sharma wrote, “All change is hard at first, messy in the middle, and so gorgeous at the end.” Indeed, change is a journey. It requires patience and determination. It’s not a light switch; it’s a dimmer switch. Bugema B village is located southwest of Marare Primary School in the Mbale district. It is one of those villages that have, for years now, suffered a lack of safe and accessible water. The few water sources they do have are quite a distance away from where they live. 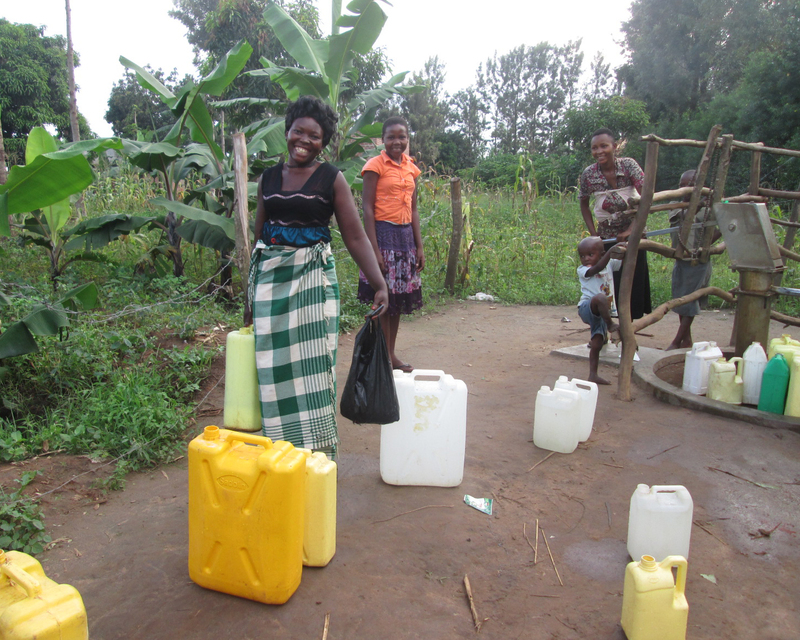 Whenever there is a water crisis, women have had to compete over water with fellow women in their neighbourhoods. When the residents of Bugema B village heard that Food for the Hungry intended to support them with a borehole, they were all excited at the news! But because they had earlier been promised the same by government departments and politicians, but in vain, they were tempted to think that the same was going to happen with FH. “When local leaders told us about this possibility of getting support from Food for the Hungry with safe borehole water, we all doubted and kept saying it is the same old song that has been sung to us before,” commented Kasiri Siragi, one of the local residents. As FH continued to walk with the community, more people began to believe in the project. In fact, the same man who expressed doubt when the idea was first introduced, Kasiri Siragi, became the very man who voluntarily donated his own land to be the site of the new borehole. “Because of the many challenges that I have gone through with my village mates, especially when it rains, am offering my piece of land at no cost for FH to drill for us the long-awaited borehole. This will go a long way in saving our wives and mothers from walking long distances in search of water, let alone our children missing school because of the same problem,” emphasized Kasiri. In response to Kasiri’s extravagant act, the surveyor, Wanyama Emmanuel, exclaimed, “I have traversed communities all across Uganda but I have never come across a person with a larger heart than this land donor Kasiri Siragi.” After he freely gave his land away for water development the community, in appreciation, volunteered to construct a latrine for Kasiri’s family. There are always those in the community who are going to want to grasp change and run with it, and those who are going to have a wait-and-see attitude, and those who are not going to want to make that change happen at all. Kasiri Siragi is one of those who runs with it.